Sony may have just lost a bit (more) of its early edge against Microsoft in the next-gen console war. A Microsoft spokesperson confirmed with Polygon that the Xbox One will be able to play games as titles download, eliminating the need to wait for dozens of gigabytes to transfer to the console before you jump in and start playing. Sony already confirmed the convenient feature for the PS4, but this is the first time Microsoft has mentioned it. It may well be that they only just added it to the Xbox One's functionality in an attempt to regain some consumer favor from Sony - if not, why would they wait until now to mention it? Oh that's right, the whole crummy messaging thing. Sony's PlayStation 4 can prioritize game downloads so that the framework and early levels arrive first, allowing games to be played before downloading is finished. 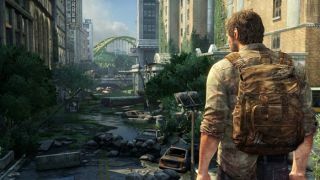 We saw this feature appear first in Naughty Dog's The Last of Us, released on PlayStation 3 in June. Digital downloads of the game, which require over 50GB of hard drive space, can be booted up and played when they hit 50 percent completion. On PlayStation 4, however, games will be playable even before the 50 percent mark, Sony previously confirmed. Some PS4 games will also be divided into multiple parts so that you can choose to download just the single-player or multiplayer portions. One can assume that the feature works much the same on Microsoft's console, though specific options like the separate downloads for different modes have not been confirmed. Microsoft did confirm previously that physical Xbox One games will be playable even as they're being installed to the console from their discs, a requirement for all disc-based games. TechRadar asked Microsoft to share more details about the play-as-you-download feature on Xbox One, and we'll update this story when we hear back. TechRadar got extensive hands-on time with the PS4 and Xbox One - check out our current reviews if you haven't yet!